The forecast is changing and warmer weather is on the horizon! When the warm weather arrives we generally spend more time outside grilling and entertaining, nothing beats a good barbecue with family and friends. I love hosting family and friends, we have a very spacious backyard, and we love to grill in the summer. This summer we need to purchase a new barbecue. Our current one is on the brink of biting the dust and we don’t want that to happen before a big cookout! Barbecues can be a lot of work. From prepping food to getting everything set up, and what seems to be a never-ending to-do list, one can get overwhelmed with the task of hosting a barbecue. But it doesn’t have to be that way, today I am going to share some amazing BBQ hacks to make your backyard cookout easier. From keeping your side dishes cold to a clever condiment serving tray and more, these hacks will have you looking forward to your party vs dreading it! Before you plan your next big backyard cookout, check out these awesome BBQ hacks that will transform your party and have it run smoothly from start to finish. If using a charcoal grill, place some charcoal nuggets inside an empty egg carton, then light it up. This will get your grill going a lot easier. Ever begin cooking to find you run out of propane half way through? Prior to your party you should always check your propane level. A great way to do this is to pour hot water over your propane tank, then feel the side of the tank. When you get to the part of the tank that feels cold, that is where the propane level is. If it feels warm, it is just air. There has been a lot of warnings about bristle brushes as of late. For a safe, effective, and quick clean of your grill, warm it up a bit. Then wad up some aluminum foil to run over the grates. It cleans the grill with ease! Add new flavors to your dishes by placing fresh herbs on the fire. Basil, rosemary, and sage are the three most popular choices. Slice up a lemon or orange, and cook your fish on top of the slices. This prevents it from sticking to the grill and also adds amazing flavor! Do you ever wonder why your hotdog or sausage is cut when you purchase from a vendor? Cutting your hotdogs and sausages in a spiral cut allows them to cook better. Plus your toppings will fit right into the grooves making for a less messy chow down! Ever make hamburger patties and they shrink up so small? A great way to eliminate this is to press a thumb print in the center of the patties before you begin to cook. As the burger cooks, the thumb print will shrink up and it will keep your patties at a regular size. The key to grilling is setting your meat out and letting it get to room temperature before tossing it on the grill. This will make the meat cook more evenly and prevent it from drying out. Simply set it out for roughly 15-20 minutes before it is set to go on the grill. You can do this with all meats, except fish. If you want to grill veggies, put them on skewers or use a grill basket on the bbq. Toss them in some olive oil and herbs for deliciously grilled veggies. Take a kiddie pool and place ice in the bottom, then place your side dishes on top of ice. This will keep your dishes nice and cool in the summer heat. After the party, just dump out the ice and water on the ground! Grab your cupcake tins and pour ketchup, mustard, pickles, and other condiments inside each slot. Then place plastic spoons in each for people to scoop up the condiments. This will save space from having 10 different bottles or jars of condiments on the table! Take your bag of chips and fold the top edge inside the bag, then roll it down. It makes for a great bag that is easy to reach in and grab. Lets face it, clean up from a party is never fun. 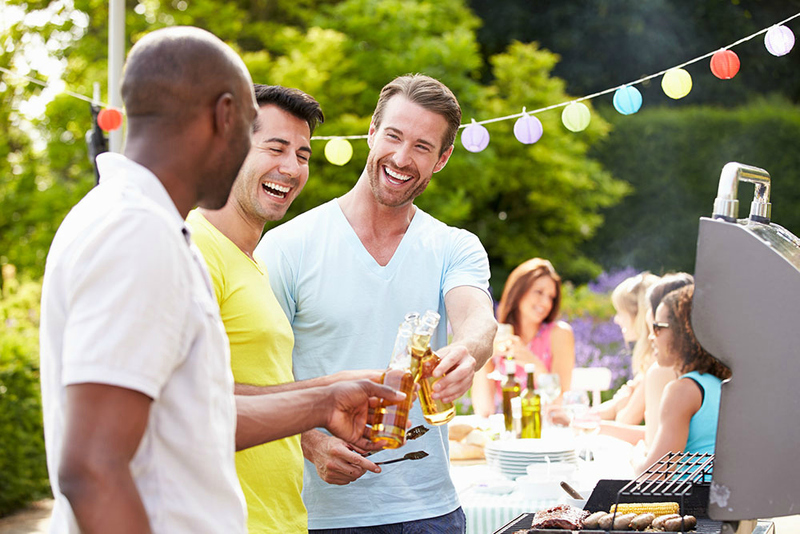 To make this chore a little easier ensure you have trash cans out for your barbecue with friends. If you recycle, then label the trash cans so people know where to toss their trash and recycling. If not using disposable dishes, place a bin out to collect dirty dishes and label it. Your guests can toss leftover food in trash, and the dirty dishes in the bin. Then at the end of the party you can easily carry it inside for cleaning! If you are looking for some great refreshing treats for after dinner, check out these 17 deliciously refreshing summer popsicle recipes. There is even an extra one for the adults using bubbly! I hope these BBQ solutions can help you to throw a great barbecue. Have any other great BBQ hacks? Let us know in the comment section below! Isn’t that the worst? We have ran out before, but luckily it was just during a family dinner for just us. Steve ran to the store to get a new tank. Dinner was a bit delayed that night but we ate. I love the idea of having a dirty dish bin bin outside so there’s no constant walking back and forth to the kitchen. You’ve got a great list of hacks! My husband always forgets to check the propane so we always end up cooking inside. Great tips to remember. Backyard BBQ’s are the best and these are some cool tips. I especially love the one about spiral slicing the hot dogs! Why didn’t I think of that? lol Thanks for passing this along just in time for Memorial Day! I love a good BBQ in the summer time! I have used a couple of these tips before but there was also a few I wasn’t across so awesome read! Now if only it wasn’t Winter over here in Australia! I love all of the tips you shared in this post. My favourites are lighting charcoal with an egg carton and placing fresh herbs on the fire for aroma and flavour. They will make our next cookout amazing! I have never thought of the egg carton trick. That is going to be my secret weapon at my next bbq. I love doing backyard BBQ’s and these are some cool tips. Check Propane Level this is very important and i always make sure that fuel is enough before we started. Oh these are awesome tips! I love using plastic containers, well anything that can be thrown away to make for an easier cleanup! Definitely need to show my boyfriend this article. Okay, I DEFINITELY have to add herbs to my grill next time. Why have I not thought of that before!? I mostly cook with tofu since I have many family members who are vegetarian. That would definitely “spice” things up! These are all awesome ideas especially when you’re hosting a bbq! 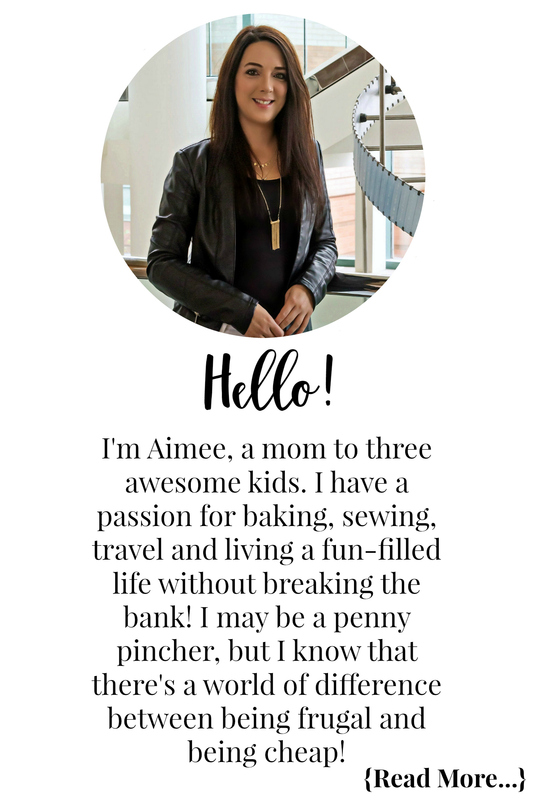 I love learning about hacks that can make life easier for me and my guests! Great tips with summer approaching. Checking the propane tank is a great reminder! What a great idea and I really love the idea of having a Bbq in our backyard it really fun, Glad you share this tips. These are amazing tips! I want to try the spiral hot dogs and the kiddie pool for drinks is GENIUS! Well, now is as good a time as ever to learn these hacks….summer is here baby! These are such great tips! I love the hot dog idea!